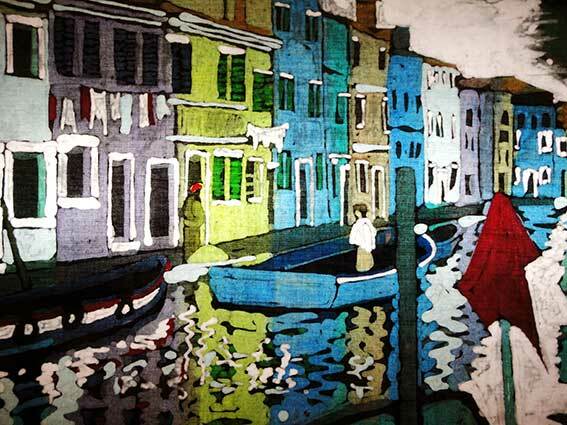 Burano, an island in the Venetian lagoon is famous for its lace making. The small canal-side houses are brightly painted in seaside colours and every street has shops full of hand-made lace. The day my mum and I visited was the morning after the 'aqua alta' (high water) and the men were sweeping water out of their houses and bailing out their boats. All the pavements were ankle deep and the reflections were amazing. It was hard to see where the buildings stopped and the water began.